Cake boxes present your celebration cake in the best possible style, and these pretty boxes from the ‘With Love’ range encapsulate the romance of the occasion. Made from sturdy card, the boxes feature a charmingly whimsical design in a pastel colour palette perfect for traditional weddings. 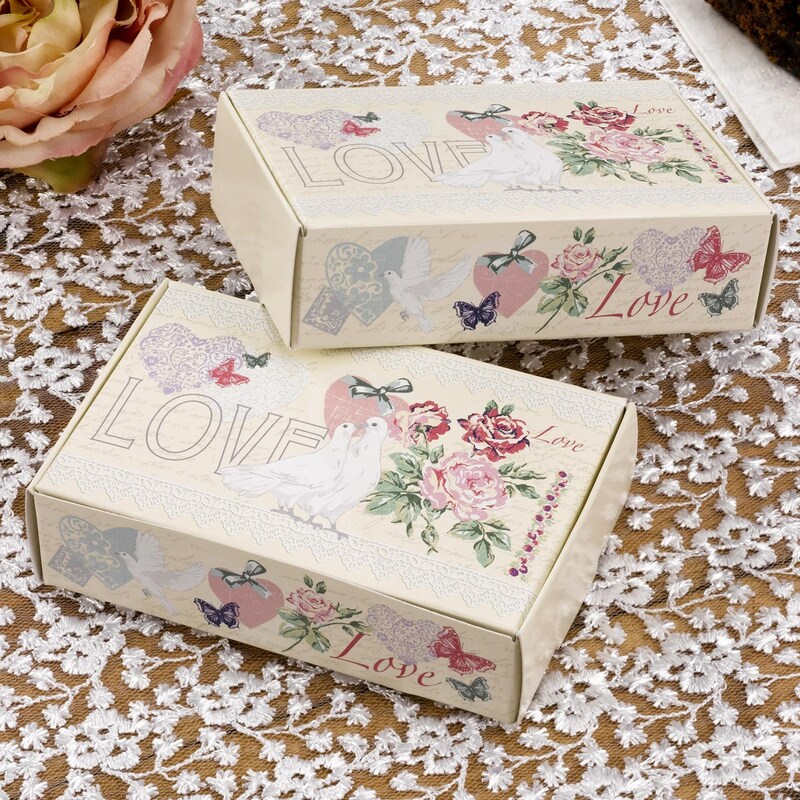 Featuring a ‘Love’ logo and butterfly, heart and bird motifs, the boxes offer an elegant alternative to a napkin. Used alone or combined with other pieces in the range, these boxes are both pretty and practical.